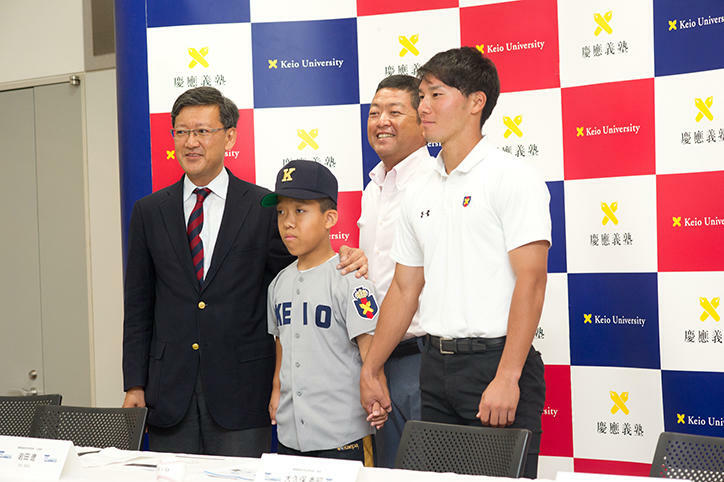 On Wednesday, August 1, Keio University Baseball Club announced at an enlistment ceremony held at Hiyoshi Campus that they would welcome one junior high school student undergoing long-term treatment as a team member. This initiative, which is planned and administered through the NPO Being ALIVE Japan's "TEAMMATES" project to match children in long-term treatment and sports teams, is the first of its kind to be realized in university sports. Ryo Iwata who will now join the baseball club, has a skeletal illness which causes abnormalities in growth cartilage. 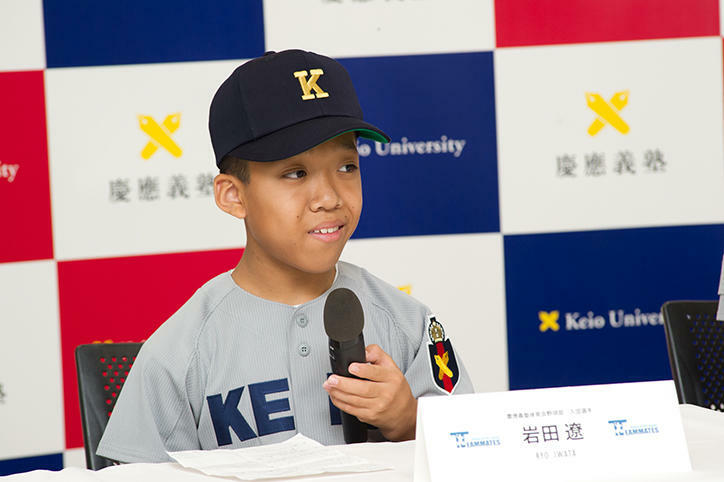 He will take part in baseball club practice through the TEAMMATES project, as physical limitations make joining general baseball teams troublesome. At the enlistment ceremony, he entered the venue through a corridor formed by members of the baseball club. After the words of welcome from baseball club president Kotaro Oka and manager Hideaki Okubo, Iwata signed a contract to enlist in the baseball club, and Manager Okubo presented him with a uniform. Iwata’s self-introduction prompted members of the baseball club to ask him questions, and the subsequent back and forth gave the enlistment ceremony a congenial atmosphere. It is planned that Iwata will take part in practice and engage in activities to support the members of the baseball club at match venues up to twice a month for the next five months.